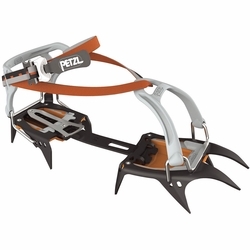 Petzl IRVIS Crampon. 10-point crampons for ski touring and glacier travel. Lightweight, compact 10-point crampons designed for ski touring and glacier travel.